Amazon is offering up to 25% off Blueberry pet gear as a Gold Box Deal for today. 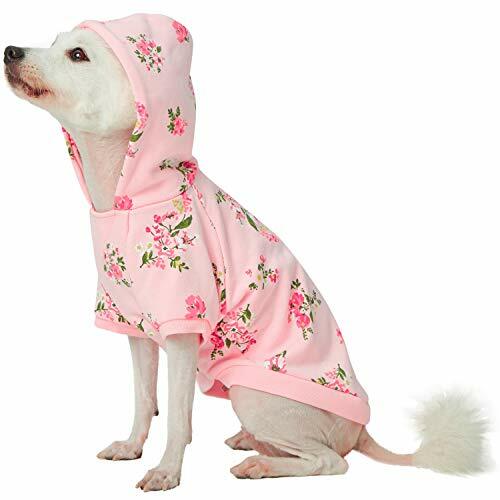 Included in the sale is the Blueberry Pet 2019 New Spring Scent Inspired Daisy Flower Pullover Dog Hooded Sweatshirt in Baby Pink, Back Length 14″, Pack of 1 Clothes for Dogs marked down from $19.99 to $14.99 with free shipping. This hoodie is a warm piece perfect for playing at home, wearing to the park, or any occasion needed!